Sony Pictures has been the center of a major conspiracy these days, with the studio being the victim of a large scale hacking by a group calling themselves GOP. The FBI claims to have found links to the North Korean government behind the hack. These links seem to be all the more probable with the group threatening acts of terrorism if Sony Pictures does not ‘remove every sign’ of the motion picture, The Interview, that has Seth Rogen and James Franco depicting the assassination of North Korean premier, Kim Jong Un. 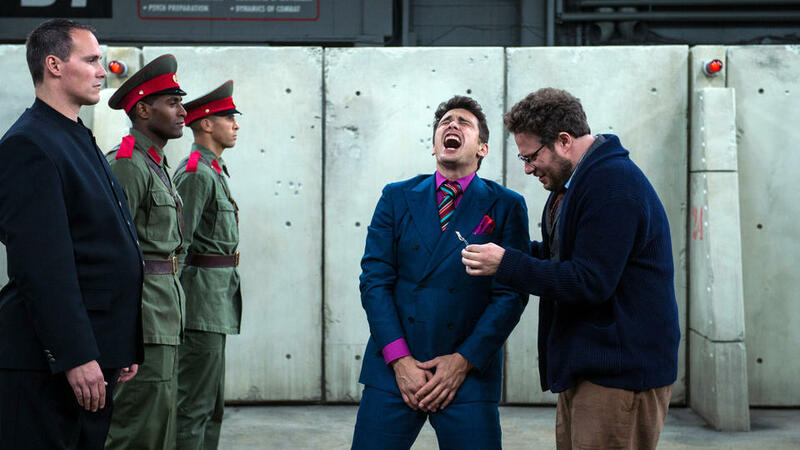 Sony To Release The Interview For $6 Rental And $15 For Purchase Today At 1 PM ET. 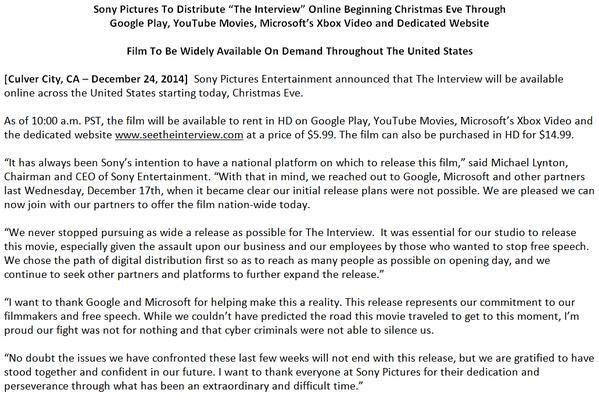 Looks like folks over at Sony Pictures have finally made a decision about The Interview’s fate. The Studio will be releasing the movie starting 1 PM Eastern Time today for both rental and purchase. The Interview will be released in HD on Google Play, Youtube, Xbox Video and on a dedicated site built by the company for this purpose, SeeTheInterview.com. Rates for The Interview will be $6 for rental and $15 for purchase, said the company in an official statement. The decision to release The Interview comes after several deliberations and hesitations on the studio’s part. The motion picture’s screening in theaters was cancelled throughout the US after hackers made threats against theaters. Even the President got involved in the mix, with Obama promising that the US will retaliate against the North Korean hack and criticizing Sony’s decision to take The Interview down from studios. But Sony Pictures were right in their move to think carefully after making a decision since hackers have released hundreds of gigabytes of confidential corporate data. This has helped unmask another plan involving Hollywood Studios and the MPAA to take action against Google in order to stop online piracy of movies. That being said, The Interview is finally up for watching, so head over to any of the sites mentioned above and take a look yourself at what the fuss is about. Cheers.